Patagonian mara wallpapers with photo’s of the animal also called Patagonian cavy, Patagonian hare or dillaby. 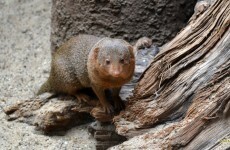 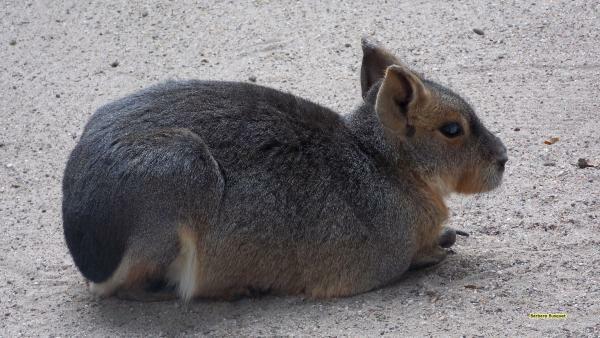 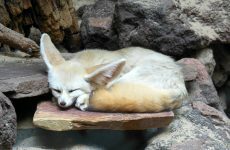 This rodent is originally from Southern America but I pictured these maras in a Dutch zoo in Amsterdam. 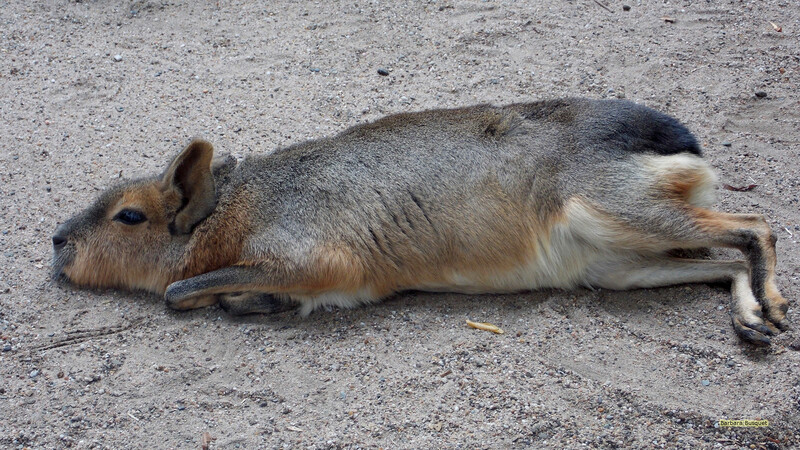 Patagonian mara on the ground.